Coffee is one of the most popular drinks in the world. The morning coffee is very much important. Since your body has to take huge responsibility daily, you need to take coffee for extra care. A cup of great coffee can make you energetic and positive. But can be worst in vice-versa. There is a belief that coffee originates from Ethiopia where it grows naturally. For the time being, it moved to Yemen. It is also popular in Asia. We have accumulated some information about 10 best coffee brands in the world. Here, we have considered price, quality, origin, and taste. “Harrar” is a city of eastern Ethiopian. It is famous for its holy Islam and naturally processed coffee. Ethiopian Harrar coffee is one of the most unique coffee brands in the world. In the 16th century, it was famous for its coffee. Moreover, in the early 1800 s, it has become a major trading coffee market in the world. The Harrar region is known for its rich flavor, winey coffee. Yellow-green or golden-green in color of beans are the specialties of Harrar coffee. The fragrance of coffee is awesome like jasmine. It is also high in terms of acidity. Folgers is an American famous coffee brand with a rich history. This coffee is made from Mountain Grown beans. It is called Classic Roast Coffee because of its pure taste. Folgers Roasts are available in many forms like an instant, K-cup pods, individual single-serve packets and so on. Everybody knows it as “Best Part of Wakin’ Up” with its fresh and eye-opening aroma. In terms of freeze-dried instant coffee, Folgers is a very popular premium coffee brand. Moreover, it considered the best low acid coffee brand. Additionally, if you like dark coffee, Folgers Coffee Roast can be the best option for you. According to popularity, it stands on top in the world ranking. Caribou coffee is a smooth, balanced, and medium roasted coffee blend. It is a top rated coffee brand where anyone can start his or her day with breakfast blend. During noon, he or she can have sweet caramel and nut. Caribou blend in Decaf should be the final mug of the day. Drinking coffee is one kind of social fact. From purchasing coffee beans to brewing the coffee, Caribou coffee has a variety of blends. There is a flavorful coffee as well as Classical French roast. The Rain forest Alliance has approved it. So each sip of coffee makes it in the best tasting coffee in the world. Dunkin’ Donuts is the premium coffee brand of USA, founded in 1950. It is also the market leader in various categories such as decaf, leed coffee, regular and so on. In the coffee category, it has earned the no.1 ranking for customer loyalty for 12 years running. Dunkin’ Donuts operates its business in more than 46 countries which have 12400 plus restaurants. In the worldwide coffee market, Dunkin’ Donuts is the worlds finest coffee brand. If you think that there is no perfect thing, then you should try Nescafe 3 in 1. Fun, thrill and joy, all three criteria are blended into one packet. It is the best-selling coffee brand. You will remember it from the first sip to the last drop of coffee. Truly, it has amazing quality coffee in the world. There is the finest combination of instant coffee, sugar, and creamers. Wherever you go, it does not matter, if you have a Nescafe 3 in 1. You only need hot water and disposable glass with you to enjoy this coffee. It will make your trip memorable. That’s why we know it as one of the best coffee brands as well as top coffee brands. It is made from very high-quality natural Robusta Coffee beans which is 100% pure. In addition, it is also one of the best low acid coffee brands in the world. It’s sealed in single serve sachet. 15g stick pack is available. Eight O’clock coffee is an American brand, with 150 years of legacy. Regarding position in the USA, it is the 5th largest coffee brand in the world. In the year of 2006, it joined with TATA GLOBAL BEVERAGES family. After that, it has acquired a brand revival in the top-rated coffee brand. It is available in both forms, whole bean and ground bags. Infusions are the new addition of Eight O’clock. It has also two variations. One is Infusions Alert and another one is Infusions Relax. Infusion Alert is the mixture of caffeine and guarana and Infusion Relax is blended with chamomile and lavender. Very few coffees in the world have become as popular as Colombia coffee. We don’t know about the origin of most of the coffee brands which are available in the super shops. But Café de Colombia guarantees the “richest coffee in the world”. Additionally, it is called the best organic coffee brand. Without mixing additional ingredients, it provides the full quality and values. This Colombian coffee means much more than a beverage. That is why it known as one of the biggest coffee company. In Taiwan, Mr. Brown coffee is a very renowned coffee brand. King Car Group of Taiwan is operating this Brand. When we talk about the ready to drink coffee series, definitely Mr. Brown coffee is the masterpiece. It is also known as the healthiest coffee brand. Customers can easily remember the fragrance of this quality coffee. Furthermore, its called the best-flavored coffee brand. It has many features like cappuccino, coffee milk, blue mountain blend coffee, macadamia coffee, macadamia nut coffee 3 in 1 and so on. Maxwell Coffee Brand is one of the best tasting coffee in the world. In the US, this coffee brand introduced in 1892 by Kraft Heinz. Kraft Foods is the parent company. 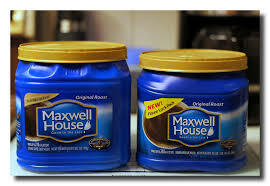 It has lots of diversity in terms of blend such as Maxwell House Instant Coffee, Maxwell House Cappuccino, Maxwell House Iced Coffee, Maxwell house Roast and Ground Coffee and many more. People like it very much as the best cheap coffee brand. Recently, a spokesperson of Kraft Foods Inc. said that they are changing their blend from Robusta to Arabica. 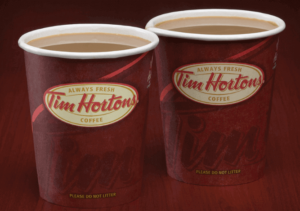 Tim Horton is the most popular coffee brand in Canada. It is one of the oldest coffee brands too. It collects its coffee beans from the different region of the world. For choosing beans, they always emphasize on flavor. It elects 100% Arabica coffee beans. They offer many options such as Original Blend, Dark Roast coffee, Decaf and Take home Coffee. Each and everyone has a different taste. Costa coffee is one the strongest coffee brand in the UK. Its headquarter located in Dunstable, Bedfordshire. It is conducting business throughout the 31 international markets with 1400 stores. It is known as the best-selling coffee brand in the UK with over 2400 shops. Coca-Cola company just purchased this chain shop for $5.1 Billion. The Kenya AA coffee is considered one of the most famous coffee brand in the world. Kenya is a very suitable place for producing the best quality of the coffee bean. This coffee is very light flavored which is very rich in taste. It is grown above the 6500 feet of the sea level. It is a very strong coffee and has a pleasant level of acidity. Because of its floral tones, it is called one of the best-flavored coffee brands in the world. Above all the information, I have discussed only ten best coffee brands. But there are so many brands available in the market. They are also good in terms of quality and service. There is a famous quote that “you will get what you pay for”. To recap, we see that Folgers coffee is less expensive compared to Caribou coffee. But both of them are quite good in quality. So actually it depends on what coffee brands you are looking for. Although it is clear that everyone is not the coffee lover. Some people drink coffee just for a daily reminder of caffeine while others are very much concerned about every sip of coffee. So the choice is yours.